Dust and Water Studios: Taxi Driver | You Talkin’ To Me ? One of the greatest performances in the history of cinema is certainly Robert de Niro’s 'Travis Bickle' in Taxi Driver (1976). 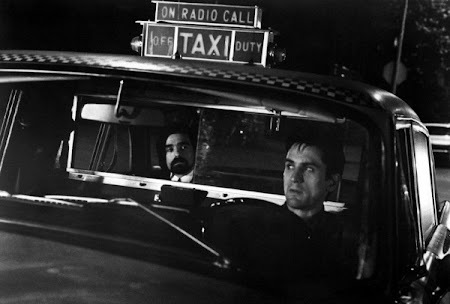 It’s not only his performance that makes the movie real, but also the scenes, where Travis drives his cab at the backstreets of New York, flavored with jazz scores of famous composer Bernard Herrmann. (Herrmann’s scores include also several other famous Hollywood movies, such as Psycho, North by Northwest, The Man Who Knew Too Much, Vertigo, Citizen Kane, Fahrenheit 451…and Taxi Driver was his last work). 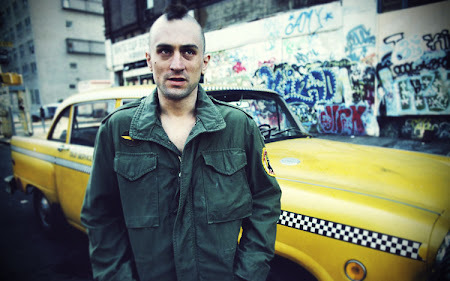 The main character, Travis Bickle, is a good-looking guy in his mid-20s. However, he is an outcast, socially incapable to adapt himself to the society. That Travis works as a cab driver during the night shifts is maybe because he wants to deal with his insomnia which is due to the Vietnam War where he fought. When he drives his cab in the New York City night life, we dive into his lonely world; paranoia; emptiness; anxiety; private fears; embarrassments; and later, to his violent fantasies. ﻿﻿What Scorsese, de Niro and Schrader (the screen writer) have created in Travis was a violent character behind his sympathy, so that the movie didn't turn out to be a sequence of horrific events, but rather a movie that lets us to discover Travis' psychology and guess his following violent actions with the increasing tension in his personality throughout the movie. I work the whole city, up, down, don't make no difference to me - does to some. All my life needed was a sense of direction, a sense of someplace to go. I do not believe one should devote his life to morbid self-attention, but should become a person like other people. I tried to call her several times. But after the first call, she would no longer come to the phone.....The headaches got worse I think I've got stomach cancer. I should not complain so. "You're only as healthy as you feel." I realize now how much she is like the others, so cold and distant. Many people are like that. They're like a union. "The life of loneliness pursues me wherever I go: in bars, cars, coffee shops, theaters, stores, sidewalks. There is no escape. I am God's lonely man"
Here, he makes an allusion to the essay, God’s Lonely Man, written by Thomas Wolfe (a novelist lived in early twentieth century). 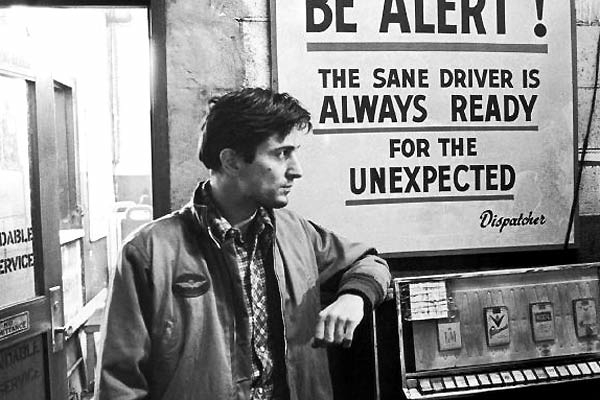 For a full review of Taxi Driver, check here.